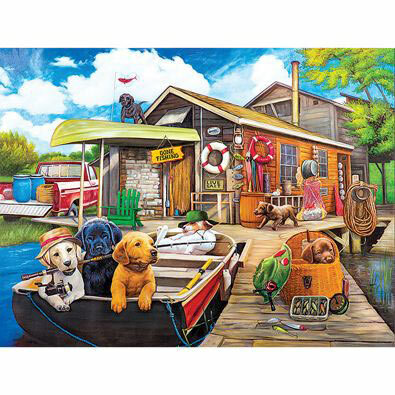 This 1500-piece jigsaw puzzle is designed by Corrine Ferguson and measures 23" x 33". Puppies are ready to set sail from a pier in a fishing boat. Celebrate the changing seasons with our lively and beautiful quilt style 1500 piece jigsaw by artist Carol Endres. Measures 24" x 33". Available in two piece counts. This 1500 piece jigsaw is designed by Joseph Burgess and measures 24" x 33". Available in two piece count. This 1500 piece jigsaw is designed by John Sloane and measures 24" x 33". Available in two piece count.